For anyone who teaches, the greatest satisfaction is to see the results of their work. It’s your support that motivates us to create better tutorials and inspires more people learn to code. This week, we have Antoine Bellanger sharing his app development journey. He’s just 14 years old but has already released two apps on the App Store. He recently published his second app called What am I flying on. Keep reading to learn about his new app, what motivates him to learn programming and how he got started with iOS development. 1. Tell me more about your background and your app. My name is Antoine Bellanger, I am a 14 year old iOS Developer and I just released my second app which is named : What am I flying on. I started developing iPhone applications one year ago but I had already basics in programming languages. I did a little bit of HTML, went on with Objective-C and finally with Swift. My app is called ‘What am I flying on ? | About your plane’. 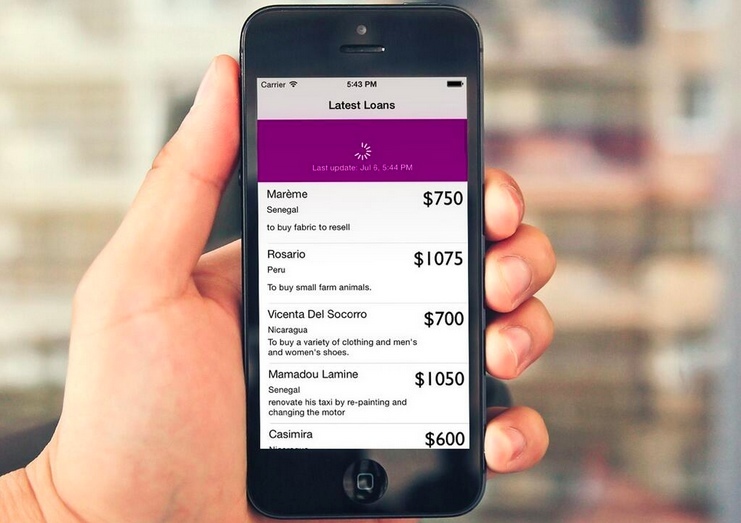 The app is available in two languages and with or without ads. With this app, any person flying in any plane can know nearly all the specifications about his or her plane. You can know the number of seats, the flight range but also more specific and complicated key facts such as the ‘take-off required field length at MTOW’. 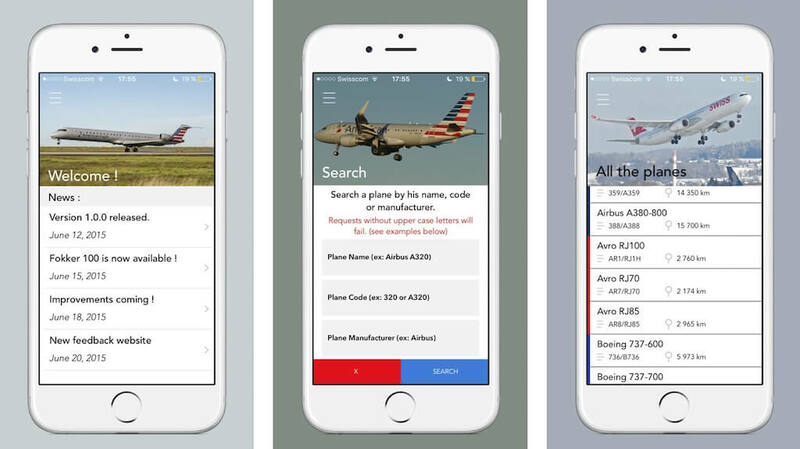 The app includes also a number of features like a tab to discover new planes, a function to vote for your favorite or another special tab to learn more about a specific manufacturer. About one month after releasing my first app, I asked myself what I could do next. I did not want to just stay and relax so after a few thoughts, I came up with that idea and that name which made me start this project. I started with some sketches and quickly after I went on with the design and the code. The first prototype took me about 3 months. A design was ready, functionalities too but I thought the design was too ‘easy’, I started again. The second prototype with the completely new design and one or two new functionalities took me one more month. 3. I know this is your second app. 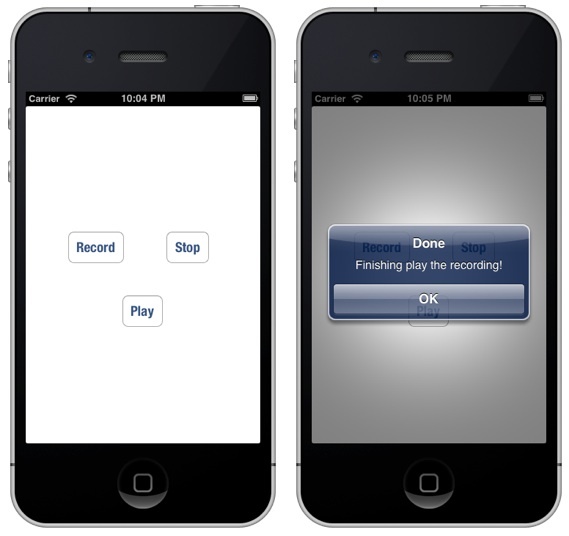 What motivates you to learn app development and how did you learn iOS programming? I think that my motivation comes from the fact that I always want to do something better but also from seeing people using my apps. I am 14, I do not have to think about money yet so just this fact is kind of a success. When I started developing applications, I just would not believe that I would sell them on the App Store one day. Today, people are downloading my apps, sending me feedbacks and the fact that you can always do better is for me the best motivation I can have. As I said earlier, Swift was not my first programming language but it was the most complicated one. I just started by reading the tutorial of Apple ‘Start Developing iOS Apps Today’ and went on, the idea of my first app in my head, with tutorials of websites such as Appcoda or Youtube tutorials. When I switched from Objective-C to Swift, I bought Appcoda’s book to have a reference about Swift, a kind of a base that you can rely on, and carried on with tutorials on the Internet. 4. Do you use Swift or Objective-C to develop your app? Again, as I said earlier I use Swift to develop my app. You can find some Objective-C code but it would be for the bridging header and frameworks. I think that Swift is the future to develop apps for iOS as it is really more straight forward and more developer-friendly than Objective-C. For some people I can understand that they do not want to switch the two languages because they know a lot on Objective-C and they do not want to lose all what they learnt but it is really worth it. I one of those people but when I switched, it was obvious for me that I should have done it before. Promotion is something very tough though after some trials and errors it can be easier. I first created a one-page website on Strikingly to showcase the features of my app and a download link. I think it is really important to have clear website to promote your app. Then, I will be sending a lot of emails to newspapers, magazines and app review sites so that more people know about my app. Some people thinks that social networks can be a good way to promote your app but I am not convinced with it so I will spend few about it for the moment. I think there was one most valuable lesson that AppCoda and its books taught me it is the Object Oriented Programming. That concept made me see another way to store the use amounts of data which are in my two apps. The fact that the tutorial was very clear, well-explained for a young boy helped me a lot. You can find this technique in my two apps and I am really loving it. 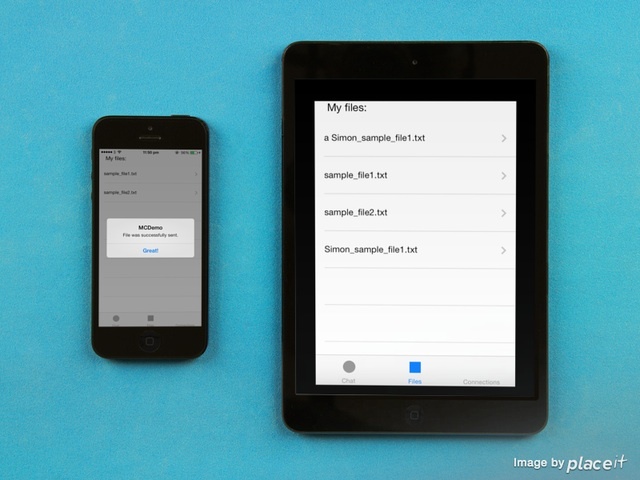 There are also many other tutorials but the one on how to store your data on Parse (from the website and the book) is a key feature of my last app and without this tutorial I would not have thought how easy it could be. I have a few advices for those who just started. First, if you have an app idea, try to realize it. It is a really good way because you know where you want to go. More generally, I would say that you always learn from your errors. You have a SIGABRT signal? Look for what could be wrong or google it! You will find lots of answers on StackOverflow. Thirdly, if you are someone who wants to start or just started iOS programming, learn Swift. Over a certain period of time I think that Swift will become a reference about iOS development. Finally, never give up. Try and try again. For my app, to make working some functionalities I had to try a lot of times but after trying on and on, you first learn and then this learning will make it work. I am going to continue promoting my app and if an idea comes, realize it! hey i have question on your app, its nice design, now can u tell me how to that your header image have a menu, i want to know that, are you using a navigation controller on that? or its just view controller at all… tnx in advance.